Special dough and fragrant pizzas – We are waiting for you continuously from 12:00 to 0:30. Cream or fruit, with yogurt, syrup or cream – our artisan ice creams to satisfy all tastes! Fish, meat, typical Trentino recipes and vegetarian dishes – everyone will find his favourite dish! Our restaurant on the Caldonazzo Lake is the ideal place to enjoy a lunch or a fish dinner, choosing between the classic dishes or our special proposals. Restaurant, Pizzeria, Bar, Ice Cream Shop…it’s difficult to find a definition that describes us completely. 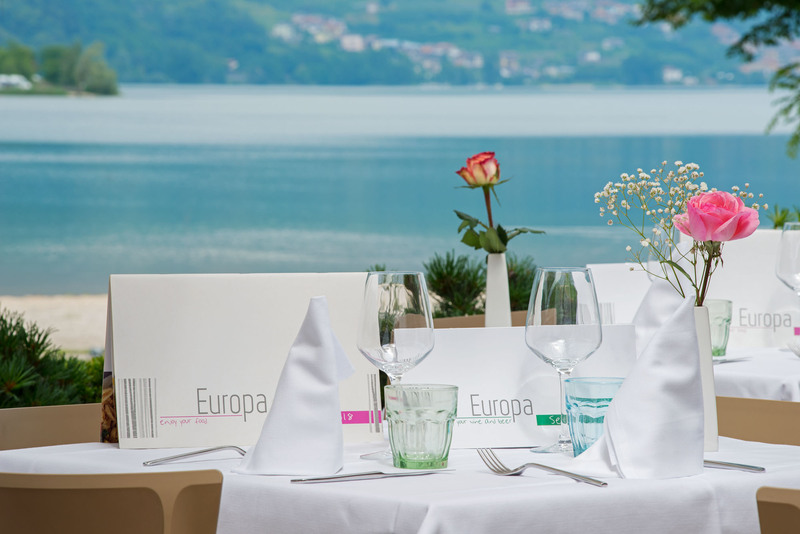 We like to think we are here to satisfy your desires throughout your day at the lake: a coffee, an aperitif, a tasty lunch, a refreshing ice-cream or a romantic dinner – with a fantastic view of the lake.